Rustic weddings are all the rage right now and I’ve seen some great DIY projects for crafty brides-to-be, so I wanted to share a project I did for my friends’ wedding last summer. 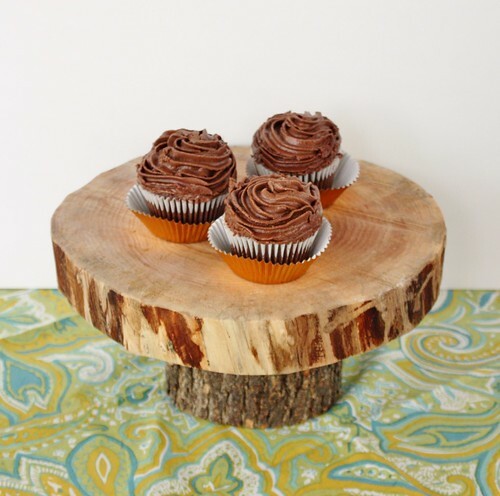 There may be some of you who’ve been eyeing all the wooden wedding cake stands on Pinterest and Etsy, and wanted to attempt it yourself. 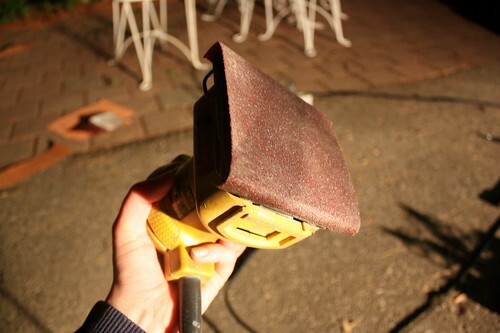 Aside from finding the wood to make it, it’s a pretty easy project that adds a fun touch to the festivities. This project isn’t just fun for weddings – you can make it for birthday cakes, to add height to centrepieces or as a dessert platter. 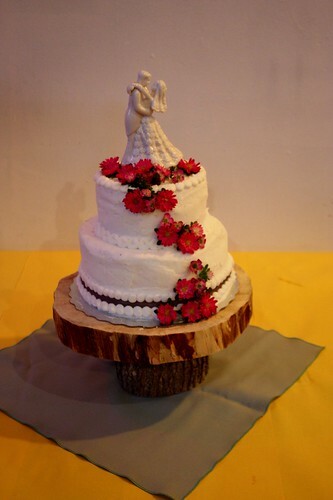 This wooden wedding cake stand was made for our friends’ Eve and Mat’s wedding last summer on Toronto Island. They are both outdoorsy people, so there were lots of great rustic touches like fresh leaves on the tables, the DIY Wildflower & Garden Flower Mason Jar Centrepieces my mother and I made, as well as this awesome cake with real flowers on it, set atop the wooden cake stand. 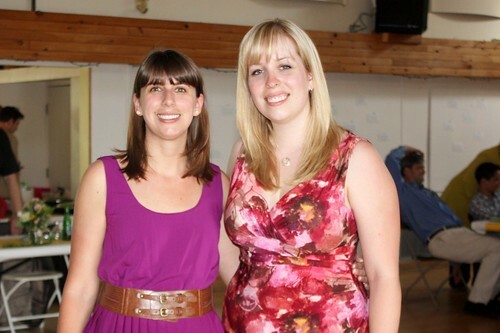 The idea for the wooden cake stand came from Shannon, a mutual friend of the bride who I met at the bachelorette party. Not only is she an absolute riot, she is also an awesome food blogger! When we were away at Eve’s cottage she started talking about the cake she was making for the wedding. 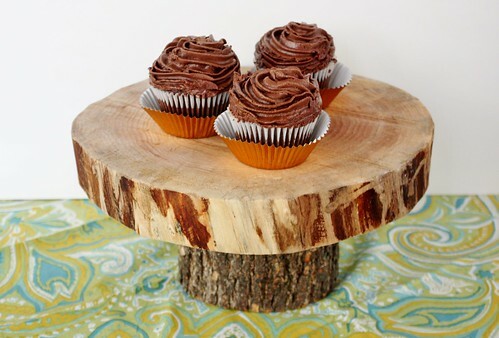 She came up with the fantastic idea for the wooden cake stand and I just had to figure out how to make it! 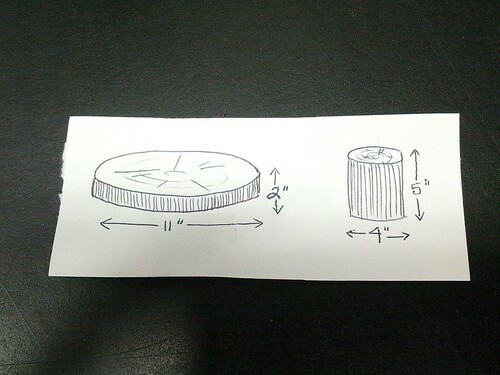 My rough sketch of what pieces we needed for the wooden stand. Don’t mind the phone pic. It started with a call to some friends of my mother. 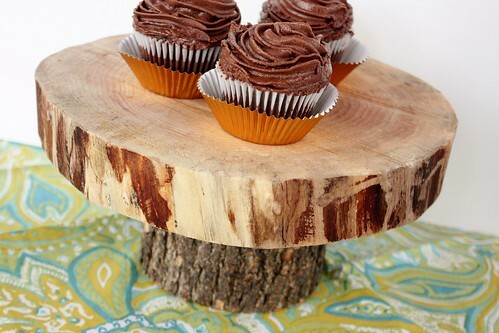 They had recently chopped down trees that were dry and perfect for making a cake stand. They kindly cut a bunch of pieces for us and brought them over to see what worked best. We went with a base that was about 5 inches tall and 4 inches wide and a plate piece that was 11 inches wide and 2 inches thick. The pieces were very rough and uneven, so this all started with LOTS of sanding and measuring the pieces with a level to try and get them as flat and even as possible.. 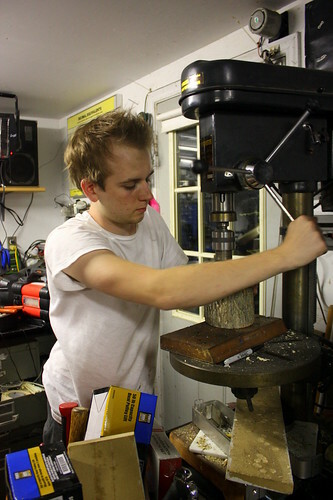 The great thing about having a dad with a complete workshop and a brother who is taking engineering at university is that I always have someone to help out with projects! 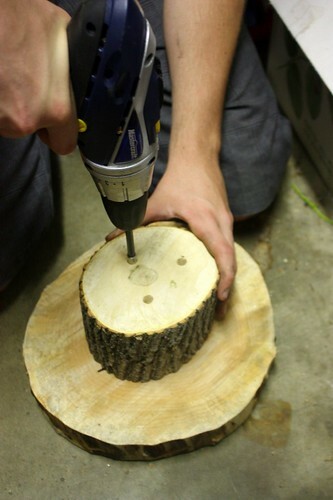 To attach the base to the plate, my brother drilled sink holes into the bottom of the base and then smaller holes for the screws all the way through. 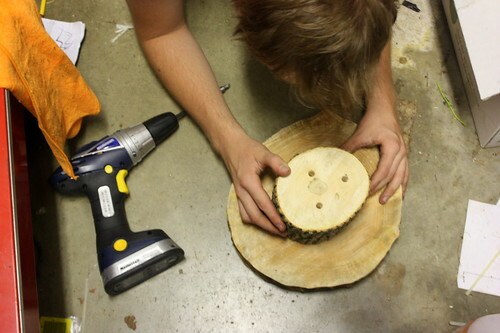 He used a drill press, but you could use a electrical hand drill as well. Then it was a matter of lining the top of the base on the bottom of the plate piece. It took some time to maneuver it around until it fit well. Then he used an electric screwdriver to put the screws into the base until it just attached to the plate piece, without going through the other side of the base. I sanded everything down one more time and then applied some mineral oil to the plate to protect it. 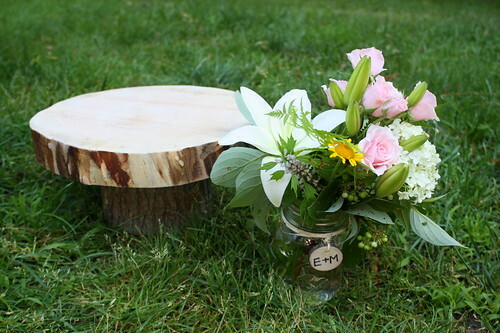 On the day of the wedding, we packed up the wooden wedding cake stand along with the DIY Wildflower & Garden Flower Mason Jar Centrepieces my mother and I worked on all night before the wedding. It was lots of fun working on so many DIY wedding projects with the whole family. 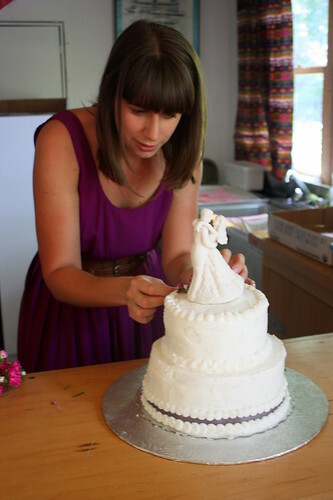 When Garrett and I arrived on the island the next day, we found Shannon putting the final touches on the awesome wedding cake that she made…in the middle of a heatwave no less! All that was left to do was place the cake on the stand and have the happy couple cut the cake! If you’re thinking about doing this for your own upcoming DIY wedding, it’s a way to add a rustic touch to the festivities! I love love love the cake stand!!!! I love that rustic look, it’s beautiful! Now if only I had a tree I could use LOL!!!! Great job!!! Love this, Amanda! Super cool! 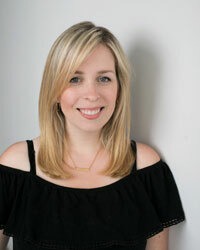 My name is Emily Timmons, and I am an editor of AllFreeDIYWedding.com, a DIY wedding site that’s still a work in progress. We’re gathering content for when the website launches, and I’d love to feature this tutorial with full credit to you. I would feature one photo and a link back to the tutorial on your blog. AllFreeDIYWeddings.com is part of Prime Publishing, and we publish 19 cooking and crafting web sites. We have over 3.5 million active e-mail subscribers and about 10 million page views per week. You can learn more about us at http://www.primecp.com. Please let me know if you are interested in being featured, and I’d be happy to link up to some of your projects! 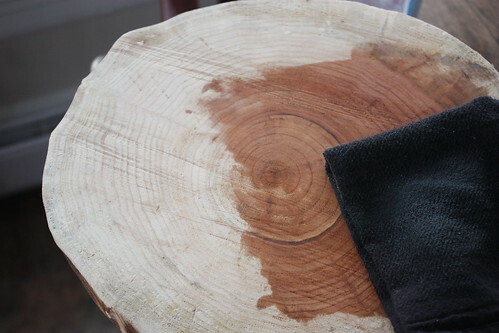 What kind of wood did you use for cake stand?